Fans of the Disney animated movie, WRECK-IT RALPH, you've come to the right place! Set inside a video game, all gamers will love this film - there's even an appearance from Mario's Bowser...Nintendo Retro Heaven! I loooove it, I'm the biggest gaming and animated movie geek - so this movie is made in heaven for me! Amazon have an awesome collection of WRECK-IT RALPH toys, dolls, figures and merchandise, as well as plenty of books to keep us entertained! As more become available, I'll be adding them to this page, so be sure to bookmark it and keep coming back! If you can't wait, simply click here to be taken to Amazon.com's Wreck It Ralph toy page right now! The man himself, Wreck-it Ralph! 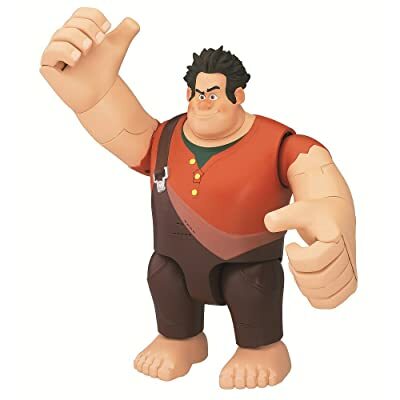 If you have any Wreck-It Ralph fans in your life (you included), then this is the ideal toy. With his massive arms, this guy stands out. 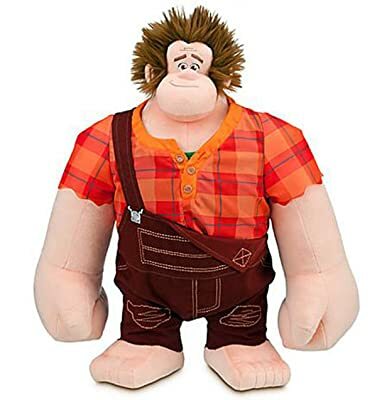 Y'see, Wreck-It Ralph is just a big softie, and this plushie doll proves it. He's not a baddie, he's misunderstood! Who isn't, right? The coolest thing about this Wreck-it Ralph toy, is that he talks! That's right! Cool, huh? Full of catch phrases from the Wreck-It Ralph film, this toy will keep any little ones amused for hours...and probably drive you up the wall as you hear the best lines from the film over and over and over...but this toy isn't really for you - it's for the kids! If you're a big kid, then you'll fall in love with this Wreck-it Ralph just as much. 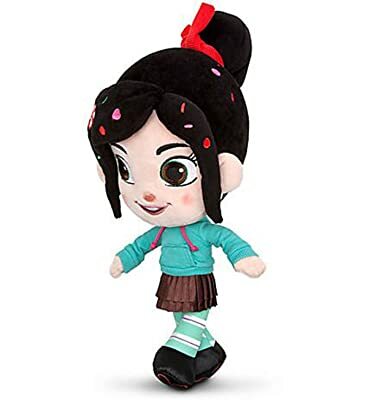 Without a doubt, Vanellope Von Schweetz is one of the cutest characters to come out of Disney in a loooong long time. The loveable little sweetheart (pun intended) is one of those gutsy girl characters that young and old alike will fall in love with. There's also a nice twist with this character, but you'll have to watch Wreck-it Ralph to find out more about that.